Since Easter is around the corner, I have eggs on the brain. It seems like everyone's Instagram feed is full of brightly colored eggs. Eggs being painted on, eggs dyed with vegetables. Addison is too old to dye eggs but I do love to look at everyone's beautiful colorful eggs. But the more eggs is see the more eggs I want to eat. 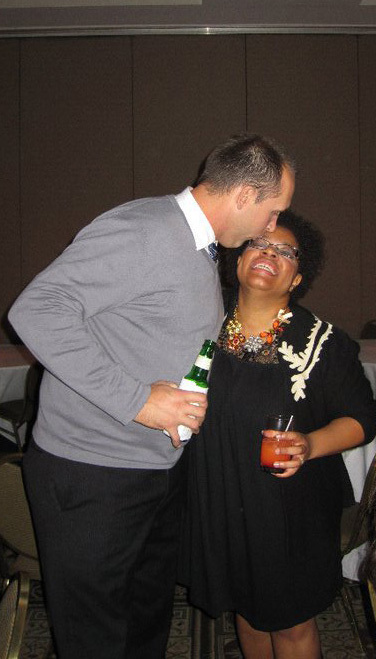 I am not talking about hard boiled eggs. I like my yolks runny. I like to dip my bacon in a sunny side up egg. Or a poached egg on top of a salad. Or a soft cooked egg and dipping your toast in the yolk. 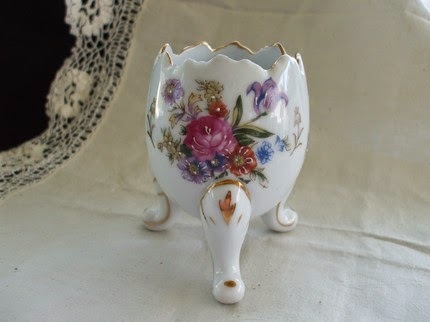 All this egg craving has made me think about egg cups. 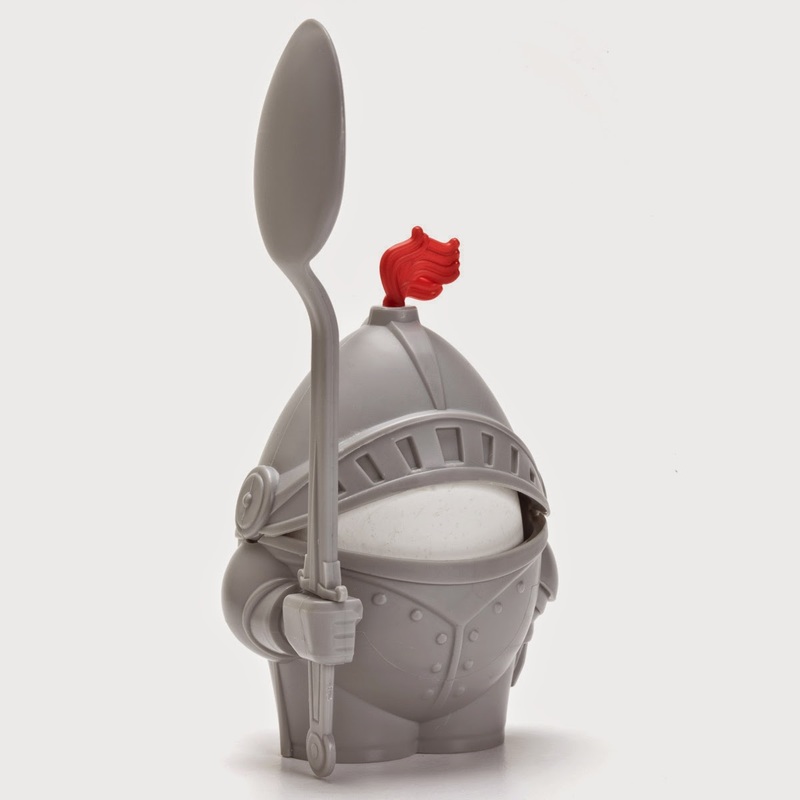 The Chosen One has got me a little obsessed with egg cups. She has decided to buy different types of vintage ones. I think she is going to have a beautiful collection of them one day. 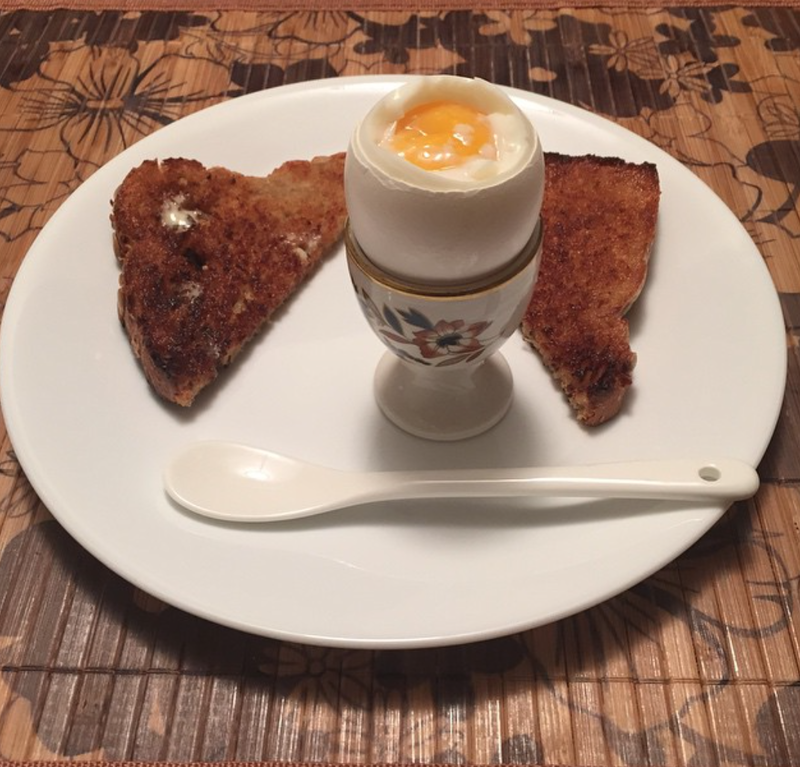 Her is her beautiful picture of her egg cup. Doesn't that look delicious? We might be best friends but we have different taste. The Chosen One is more elegant and refined. 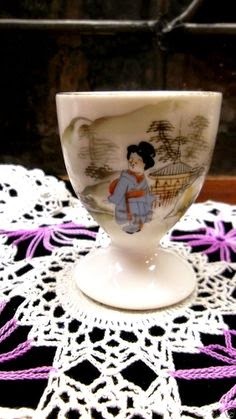 A Japanese vintage egg cup is perfect for The Chosen One. This one might be too colorful for her but I think the top is interesting. 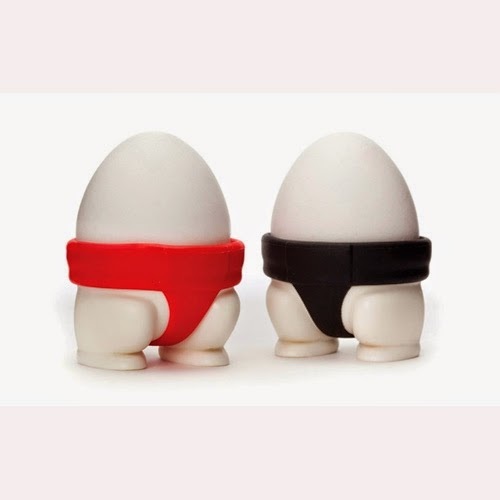 My version of Japanese egg cups. LOL! I just love the little chicken feet. This one is really artistic. 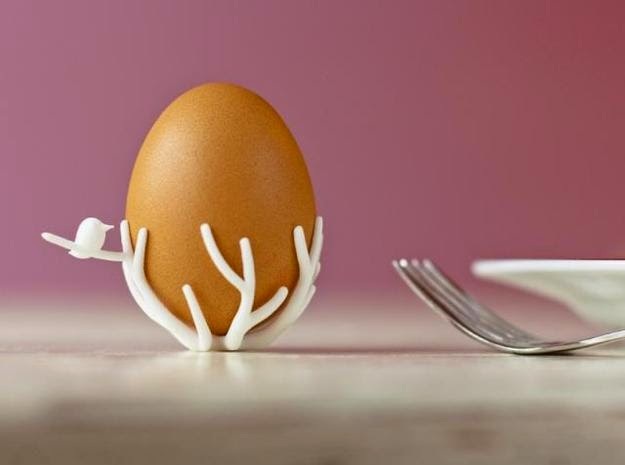 I don't know if this one would be easy to eat with but it sure is cute. 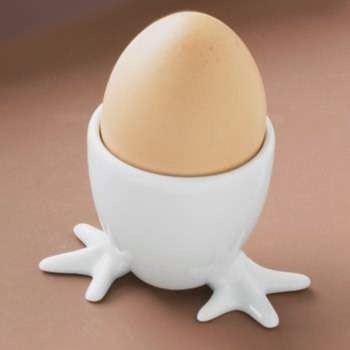 I believe this is the cutest egg cup and bread holder I have ever seen. I don't know about these. A little too cool for me. I just think they are for the some to match their modern decor style. Out of all of them I really love the bird on the branch one or the chicken feet. 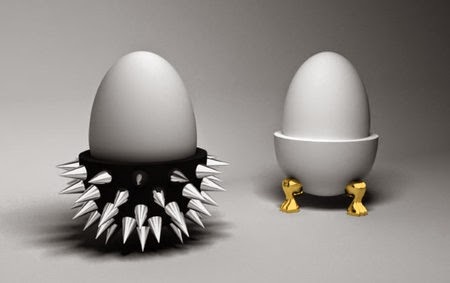 Who knew there were so many different types of egg cups. Well now I need to make some eggs to satisfy my egg craving.